Thorpe House has four rooms available all with en suite bath or shower. Special rates are also available when booking all three rooms for weddings or functions. THORPE HOUSE SUMMER OFFER. A complimentary bottle of Prosecco when booking three nights or more. Single occupancy: from £69 per night. Double and twin rooms: from £89 per night. All rooms have tea & coffee making facilities, flat screen LCD TV with free view, DVD player, free wireless internet and a hairdryer. Laundry service is also available. 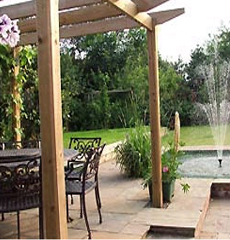 Our established Edwardian garden is also at the disposal of our guests. Thorpe House is also pleased to offer a full range of beauty treatments available from our in house Beauty salon. When you make a booking with Thorpe House you are entering into an agreement with us and are deemed to have accepted our terms and conditions. Please follow the link above.